Charity and Ramil are an adventure loving couple that became engaged while on a hike! 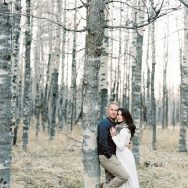 Their romantic engagement photos reflect their love of nature and exploration! 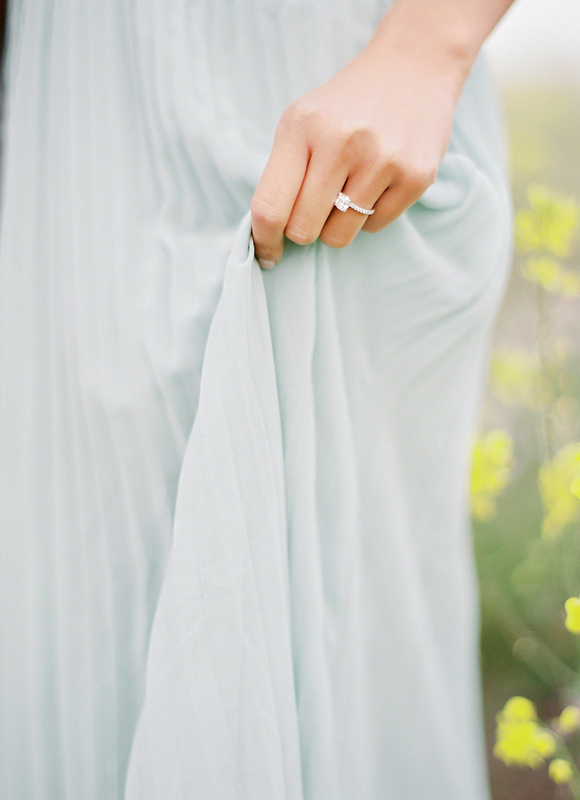 Read more of their story below, alongside these GORG images by Coco Tran Photography! My fiance, Ramil, and I met while we were both in our teaching credential program. Back then we were complete strangers but soon became really good friends (after being assigned to complete projects together!). Although we have very different backgrounds, we discovered that we shared many of the same interests and passions. Not only do we love working with children, we both really enjoy adventures in the great outdoors. We have gone from camping by lakes to kayak fishing, and from crabbing in the Pacific to backpacking the beautiful back country of Yosemite. We soon found ourselves very much in love and inseparable. Two years later and now teachers, we escaped to Lake Tahoe to celebrate Ramil’s birthday with some dear friends. On the way back home from Lake Tahoe, Ramil decided that we weren’t quite done exploring and went on a little detour to Echo Lake. We hopped out of the car and found a trail that led us next to the lake. With the picturesque view of the sapphire-blue lake and the sun setting behind the rolling mountains, Ramil got on one knee and presented a dazzling ring while saying those four magical words… The rest is history and we cannot wait to begin our next adventure as husband and wife! Oh my goodness - can someone please tell me where the bride-to-be's dress is from? It's exactly what we're looking for for my sister's wedding!! Love love love!!! Thank you so much for the FABULOUS feature! 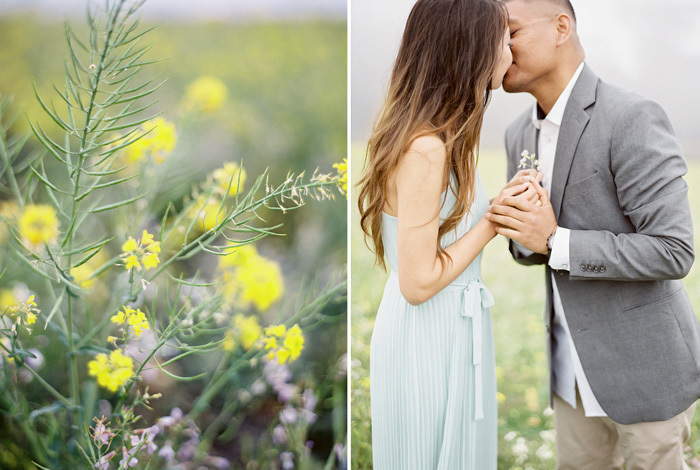 Such a fabulously simple engagement session - all they needed was a field of wildflowers and an amazing photographer! Gorgeous session! Love the soft lighting. Wow this is STUNNING. Where was this photographed? I am looking for inspiration for our engagement shoot! I LOVE these beautiful engagement photos.